In 2008 we started our optician training website and blog at OpticianTraining.com and I remember thinking that soon EVERYONE was going to be doing it – My friends, my former teachers, that optical shop down the road (that can never get a seg height right) — and the gig was going to be up, because if I could do it ANYONE could start an optical website. As an optican, you have a voice that needs to be heard. Your customers need to hear from you more than at that once-a-year visit for new glasses. Even if they don’t know it yet, you have a world of info they want to hear about. You have experiences your local colleagues would love to learn. It is easier than ever to become THE turn-to expert for your customers, your neighbors, and your industry by getting yourself online. But the concept of what an “optician” is has been so narrow for so long, that even with the Internet’s infinite possibilities, other options aren’t yet very obvious. To most people, being an optician means talking with with your customers once a year during business hours. And frankly, it means your knowledge is confined to your place of business (which can be nice sometimes, like if your job is illicit in any way, but opticianry rarely falls in that category). So let’s start shaking things up and share what we know with the world, whether it is optics or some other passion of yours. The idea of opticians spreading their wings outside the place of business is still a little foreign. There’s a lot of hesitancy, I believe, when it comes to opticians spreading their knowledge for a couple reasons. First, is the belief that your knowledge is not interesting to anyone else. We fall into a belief that because we find it routine and easy that everyone else does, too. Well, guess what, you’re wrong. You have a TON of knowledge people would love to hear about. Second, is not knowing where to begin. This is what this article is all about. 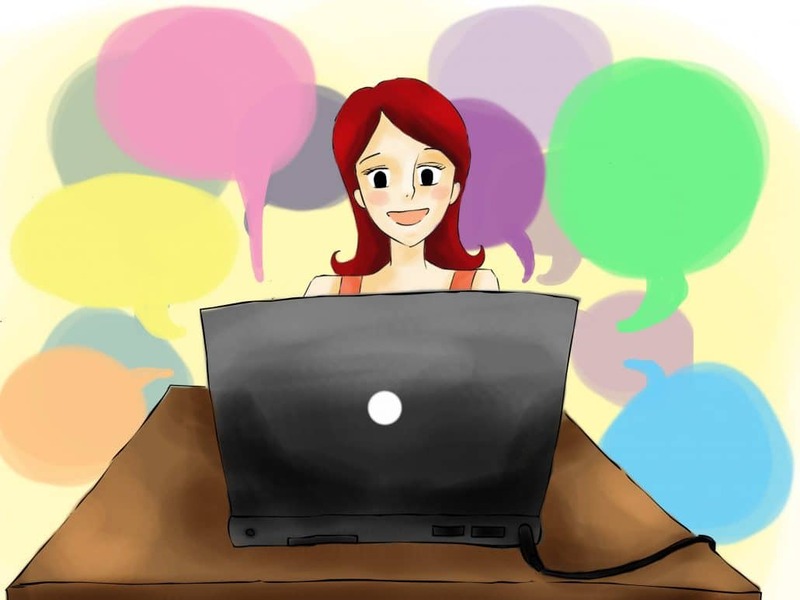 People assume that the process of setting up a Blog is complicated and time-consuming. It’s not. You can have it done during your lunch hour with time to spare. Good news… you don’t need any technical expertise to setup your blog. This tutorial is easy, I’ll walk you through each step, one click at a time. All you have to do is then use it to share your ideas with the world! Want to communicate with your customers more easily? Want to become a local expert to gain referrals from local business? Want to talk about baking cakes, dressing up your feline, or selling eyeglass themes blankets to new moms? You will be amazed at how many people find you interesting! The Internet forever changed the game, now you just need to learn how to play. IT’S TIME TO SHARE THE LOVE. Click on the Bluehost.com link now, it will open the page in a new window so you can follow along as we go. 2) Its super easy to set up and costs less than $6/month. It’s how we started OpticianTraining.com 10 years ago. So here’s what to do for step 1…. 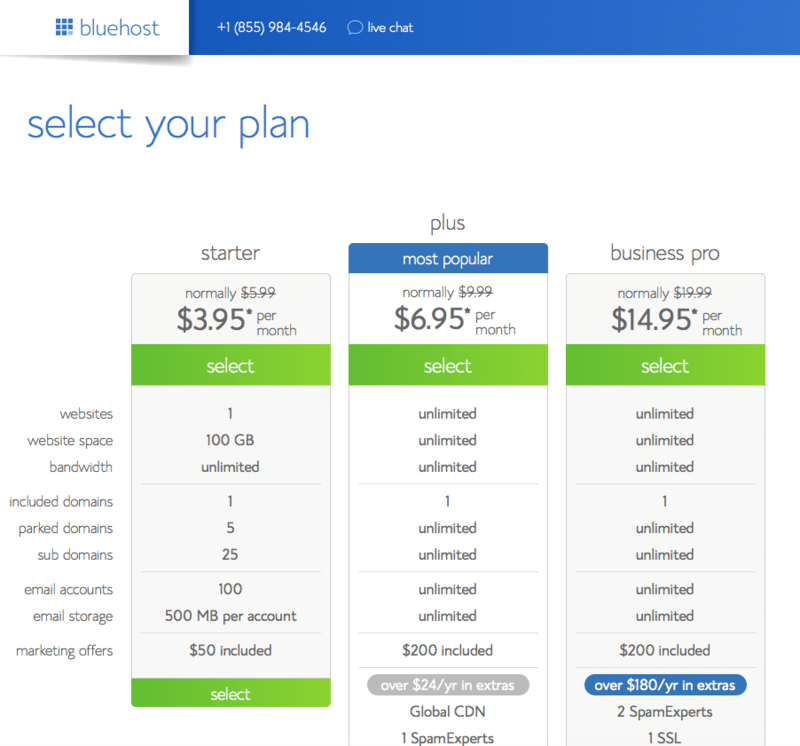 Go to www.Bluehost.com and click on the “Get Started” button. It will take you to the plan selection options (see below). Pick the plan you want. Any will do as a beginner, and you can upgrade anytime if you want, but honestly the “Plus” plan is the best deal for most people. It even gives you unlimited websites, so if later you want to help your Aunt Sally make a website for her quilting hobby you can. 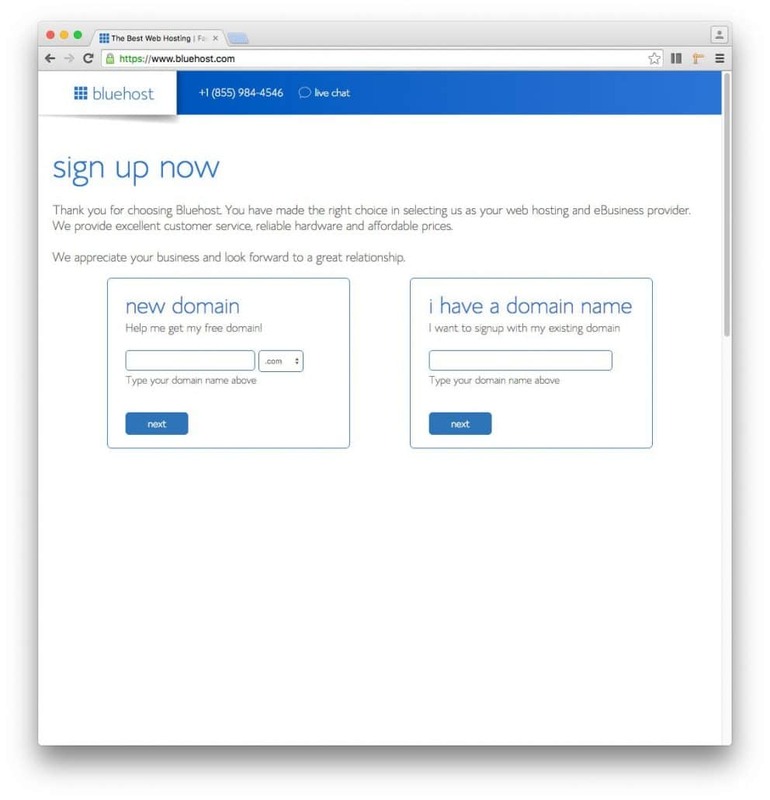 Bluehost will now automatically take you to a page where you get to pick your web address. This is called your “Domain”. The domain is the address people will go to to see your blog, such as www.Best-Optical-In-Town.com or www.CrazyCatCostumes.com . We don’t judge around here. Check to see if the domain address you want is available, just type it into the “New Domain” box. Do not obsess over your website name. Your name doesn’t have to be your website address forever. You can add different website names to your account later. Just get started, get you your momentum going today. After selecting your domain name, click next. If the website name is available, you will be notified that you are now the proud owner of Yourname.com! If someone else already has the name, you will be prompted to select a new name. If you really love a name that is already taken, don’t despair just yet. It is possible that instead of Yourname.com, you may be able to claim Yourname.org or Yourname.net. Bluehost gives you the ability to try these other variations if your first choice is not available. After claiming your website name, you will be taken through the account set up pages where you input your name and credit card info. When your account is set up you will be taken to your Bluehost account dashboard page, called cPanel. So now you have your domain name and hosting, but now it time to hook up the water and TV. WordPress is the skeletal framework to do this. It gives your website the ability to have a blog, to add images, and to make new pages and posts. Bluehost has a one-click button to install wordpress on your new site. It’s very simple. Scroll down your Bluehost cPanel page to the “Website” section. Click on the Install WordPress logo and wait for the new page to load. Be patient. It might take a minute. A new WordPress screen will appear. Click the “Install” button. Now select the website you want to install WordPress on. It should default to the correct one. The next screen says “Last step, you are almost there.” Click “Advanced Options.” Type in a site name (Don’t worry. You can change this later.) and change the default “Admin Username” and “Admin Password” to something you will remember. These are the credentials you will use to log into your website’s dashboard in a moment. When installation is complete, you will be shown a screen with your website domain name and log in information. Bluehost will also e-mail this information to you. 70% of websites are built with WordPress. Unlike other website builders, WordPress is all yours, meaning you are not using someone else’s platform to build it on. Some of the other builders include WordPress.com (not to be confused with self-hosted WordPress which is what you just installed), TypePad.com, and Blogger.com, but you will get the most control by using self-hosted WordPress. This is what most serious bloggers use. It is what we use here on our own site, OpticianTraining.com. Another benefit is the huge number of “plug-ins” available, free of charge, to customize you site however you want. WordPress by itself is a powerful website builder, but what if you want to make it into a membership site? There is a plug-in for that and anything else you may want to do. Given the massive number of websites that run on WordPress, if you have any questions about designing your site you certainly wont be alone. You can simply Google Search what you want to do on your site (such as “Wordpress add dancing hippo image to blog post” and there will be literally hundreds of search results giving answers on how to do just that. Once WordPress installation is complete, you likely may never need to log back into your Bluehost hosting dashboard again. From this point on, we will be working on your actual website. Now that you have your hosting, website name, and wordpress installed, you can visit your website! At this point if you go to it like a normal visitor such as www.YourSite.com, you will see an “under construction” screen. As the owner, however, you have a backstage pass to access the inner working of the website. Go to www.YourSiteName.com/wp-admin. 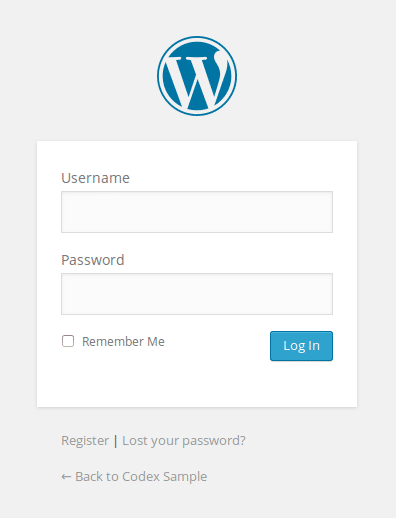 WordPress will ask for the username and password it asked you to create during the installation process while on the Bluehost site. Input your credentials here . Viola! You should now be looking at your WordPress “Dashboard.” Bloggers and webmasters refer to this dashboard as the WordPress back-end. The front-end is what your readers see. The back-end is where you control what appears on the front-end. You might see offers for Mojo Marketplace or JetPack. Ignore these for now. These are Plug-ins that add features to your site that you may want to play with at a later time. Click on the Posts | Add New option in the left-hand side menu. You should now see the New Post screen. Now write a few words in the field directly below the title. This is your Blog post content. You could explain why you started your blog or topics you plan to write about. Now click the Publish button on the right hand side column. This literally publishes your post for the world to see. Congratulations! You’ve published your first post on your very own blog. If you click on the “preview” button in the right column, you will see exactly what the rest of the world will see your post looking like. As you will notice, there’s nothing very fancy here. WordPress uses a very generic theme by default. But the beauty of WordPress is that there are thousands of themes available to choose from to make your site’s posts and pages look however you like. “Themes” are pretty much the paint on the walls of your website, hanging curtains, and decorating the baby’s room. If WordPress is the structure, themes change the way that structure looks. Maybe you want a navigation menu on the left. Maybe you want it on the right. Maybe you want a big photo up top. Maybe you want no photo at all. The theme you install will help to dictate the way your website looks. 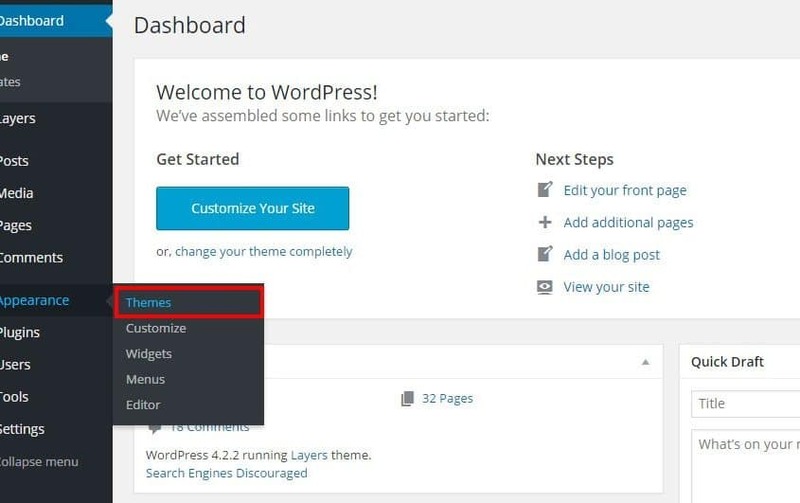 WordPress comes with numerous “Themes” in its free theme library, a very basic one will automatically be your default theme until it is changed. Each will have a “preview” button that lets you see how they look. Keep in mind they can all be customized however you like, but by selecting a theme that already looks close to what you want the your site will look like the less customization you will need to perform. All the themes in the WordPress library are free. However, they are rather basic, but perfectly fine for a beginner learning how to do this. Keep in mind you can always change your theme later and all of your Blog posts, photos, and other info will automatically transfer to the new theme. If you want your website to look a little extra polished there are tons of “premium themes” available. Just google “wordpress premium themes” and you can find tons of them. For now I would recommend just installing one of the free themes already available from your wordpress dashboard to get practice playing around. When you are ready for a premium theme, check out https://www.elegantthemes.com/blog/resources/most-popular-premium-wordpress-themes for a list of themes designed for business websites. http://www.theblogmaven.com/best-wordpress-themes/ has a list of great blog style themes. For an exceptional Blog style theme check out http://getnoticedtheme.com/, but this one is a little pricier, but a great investment for someone wanting their blogging to become more serious. These are certainly not exclusive lists, but intended to get your creative juices flowing. WordPress is the #1 platform for websites, basic to advanced, so there are tons of educational websites to learn how to build your site. If you want to learn more about building your site on WordPress, I recommend starting at http://www.wpbeginner.com/start-here/. This is a tutorial site with hundreds of videos on every aspect of WordPress. As a beginner, designing a site and choosing a theme can sometimes be overwhelming until you learn all the things WordPress can do. If you are eager to get your website looking stunning in a hurry, I would recommend hiring a WordPress designer. Simply google “Wordpress web design” and you will see hundreds of freelancers and companies that specialize in getting your site looking exactly the way you want, many times for under a few hundred dollars. Freelance sites such as www.Freelancer.com and www.elance.com can also help you connect with a wordpress web site developer more economically than what you will find using a google search. But with patients and practice, you can learn to do it yourself and have your own optical website or blog (or any other type of blog you chose! ).